Emma’s investigation leads her to Sebastian Spear, the ruthless and competitive CEO of the multi-billion-dollar Spear Industries. Spear had a motive for killing Lyle Canton: Canton’s wife, Jean, had once been Spear’s high school sweetheart and the one true love of his life — until Canton won her over. Now Jean was dead, killed in a car crash while driving drunk, and Spear blamed Canton for the accident. But the case the F.B.I. has built against DeMarco is airtight, and not a single piece of evidence points to the grieving CEO. Using her cunning and her D.C. connections, Emma sets out to prove that Spear has been using some fixers of his own. When Joe DeMarco was a boy, he always knew his father, Gino, had a shadowy job, working for a violent mafioso in New York. But he didn’t know that his father had been a hit man until he was murdered. The crime was never solved, but twenty years later, one of Gino’s former mob associates wants to get something off his chest before retiring to his grave: the truth about Gino DeMarco’s killer. Only the alleged killer was not just another hood, but a supposedly upstanding citizen who is now on the brink of taking a job in Washington, D.C., that would leave him virtually untouchable. If DeMarco has any hope of finding out the truth and avenging his father’s death, he will have to act quickly. But is revenge over a two-decades-old tragedy worth his job, and maybe even his life? House Reckoning tells DeMarco’s personal story in full for the first time, from his upbringing in Queens to his complicated relationship with his father. 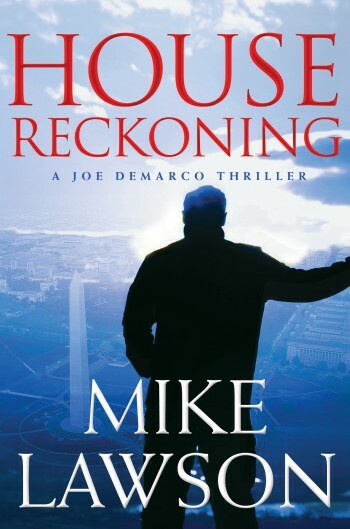 Mike Lawson’s Joe DeMarco novels are among my favourite political thrillers. The series has been pretty varied so far, taking DeMarco all over the map. In these two novels, something from his past takes him to New York City and something in his boss’s past (and a fanatical offspring) takes him to the Dakotas and Montana. Another two great additions to the series.